This unique cuff bracelet is crafted by hand from soutache braid and embellished with Swarovski pearls and seed beads. Its highly eye-catching unique design will perfectly highlight your wedding or evening creation. 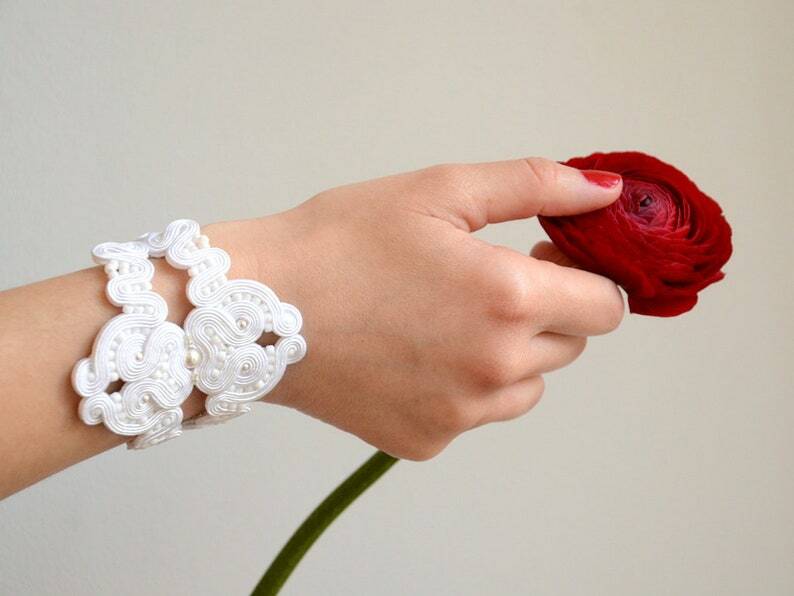 The bracelet is lightweight and pleasant to wear. You can complete the look by Joasou statement chandelier earrings. •	The bracelet fits a wrist with the max circumference of 14.5 cm / 5.7 in. A jewelry box is included.